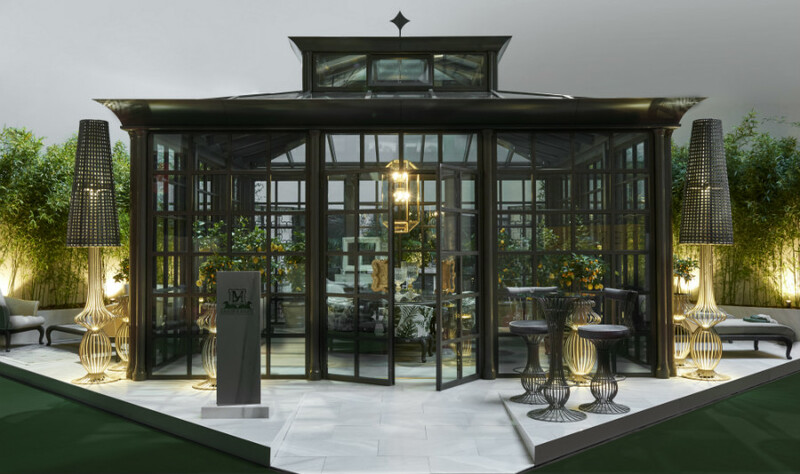 Designing a conservatory is a unique experience. The amount of knowledge, craftsmanship, research and attention to detail required to build them mean that they truly differ from any other room in the world. Attention to detail is an integral part of the process and is essential to creating a harmonious space. A conservatory isn’t a conservatory if its form and function don’t complement each other. A conservatory is a real work of art, carefully handcrafted to meet an individual’s specific needs and to bring an oasis of well-being and tranquillity to its surroundings. 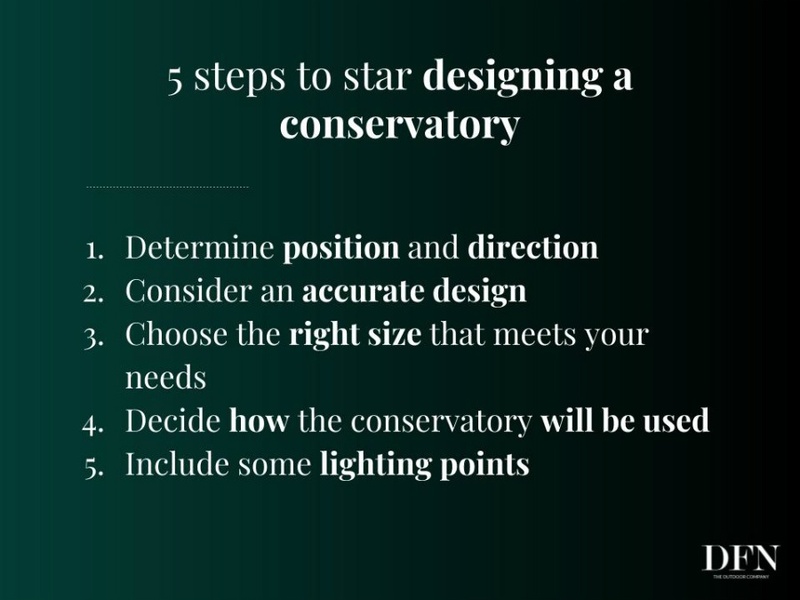 When designing a conservatory, it’s worth taking into account several essential factors. These factors will not only affect the structure’s architecture and interior design, they will also affect your customer’s comfort and spirit. It’s important not to neglect the details and to carefully study each element, using high-quality materials and creating an elegant design. 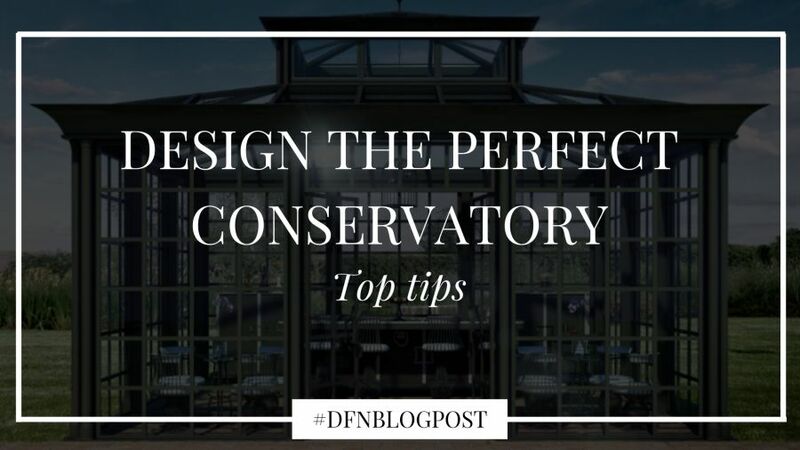 Want to design the perfect conservatory? Follow our advice below. You’ll need a well-designed ventilation system in order to create a comfortable atmosphere and to control overheating. Hot air, which tends to rise, needs be released outwards through vents in the roof, to ensure a cool atmosphere and to avoid unpleasant condensation. 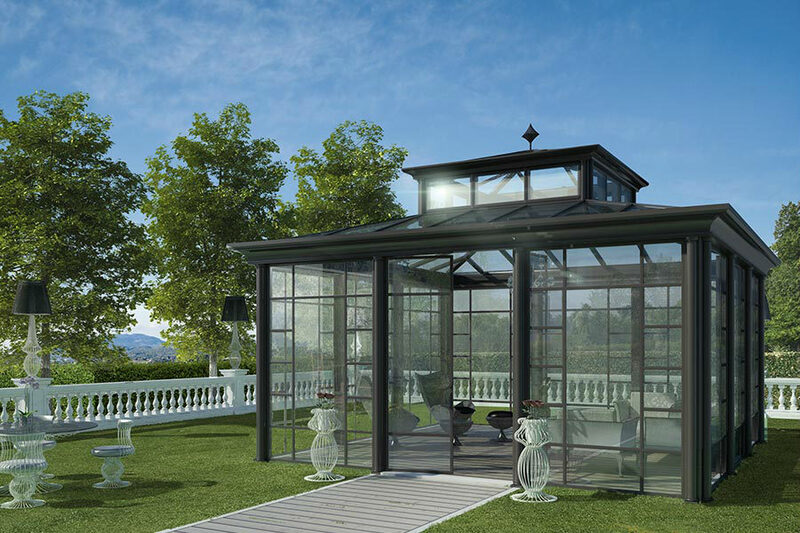 Choosing the ideal conservatory temperature is perhaps the most crucial decision in terms of how the space will be used. Providing a heating and cooling system allows you to create a space that can be enjoyed 365 days a year. It’s worth planning where you want to put plants in your perfect conservatory during the design phase: opt for plants that can survive in the conditions you’re hoping to create for your conservatory. Also consider how they flower to ensure you get the best view. Plant supports can be included in the layout to ensure plants get maximum light and stay healthy. How to start designing a conservatory? The first thing to do when designing a conservatory is to determine its position and direction. You then need to identify the new extension’s primary use, and how it will improve enjoyment of the property. Without a doubt, the most attractive way to use a conservatory is as a living or dining room. The most successful spaces are created as kitchen, dining room or breakfast room extensions. Accurate design is essential for a successful project, just like any other construction project. Think of a design that is unique in every detail, creating a tailor-made project for your customer, who will be satisfied and will fully enjoy his or her new investment. A well-designed and positioned conservatory will become the most pleasant room in the house. Creating a conservatory that is the right size is important in order to obtain a structure that fits comfortably and proportionally into its environment. Make sure you maintain a careful balance that meets your customer’s extra space requirements without overwhelming the rest of the property. The structure must be proportionate to the property to which it is being appended. A well-designed conservatory can be used comfortably all year round. Deciding how it will be used is an essential requirement for deciding on sufficient insulation and a suitable internal heating and cooling system. In addition to choosing the most appropriate materials to avoid dispersing energy, decide on the light, gas and water systems during the planning stage. Make sure you put them in strategic and comfortable areas. 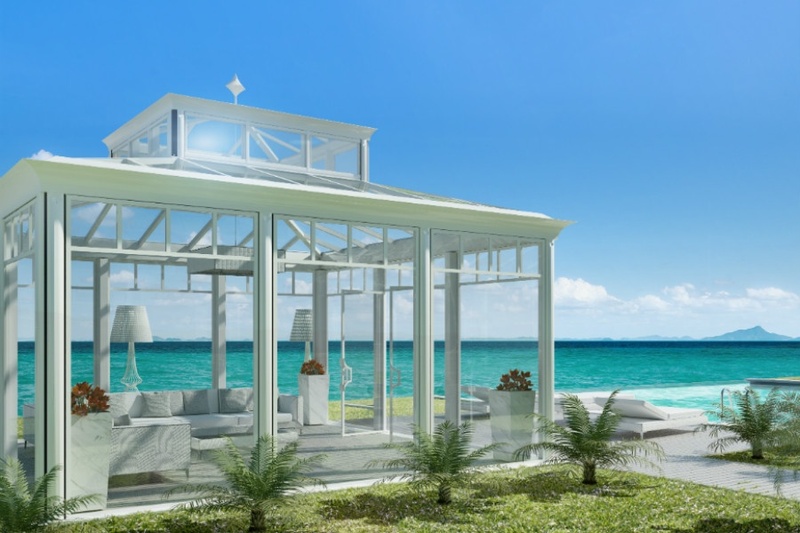 A glass structure such as a conservatory allows you to obtain an abundance of natural light. However, it’s always a good idea to include some lighting points in the room itself, so as to fully enjoy the conservatory on grey days and during the evening, too. It therefore might be appropriate to include them during the design stage in order to achieve a system that is clean and consistent with its context. Lighting points can be inserted in pillars or as an integral part of the furniture. Lighting circuits for table lamps and appropriately positioned interior or exterior lighting can also be used to create a pleasant and seductive lighting effect. A conservatory is generally considered a luxury structure, and you therefore need to make sure that you have the right level of style and panache to make it the focal point of the home. The first tip for designing a perfect conservatory is finding inspiration via different means: either due to a conservatory you’ve seen somewhere, in a magazine or an idea you have in mind. The Internet offers a wide range of ideas and photo galleries. It might also be worth visiting a showroom to bring the concept of a conservatory to life. Showrooms have an abundance of products and materials on display that can help you map out what your project might look like once it's completed. A good idea when designing the perfect conservatory is to find some words that accurately describe the style of the property. For example, if the existing building can be described as "elegant, modern and luxurious," the conservatory should reflect these canons. However, conservatories can also differ considerably in design from the rest of the property, and by tastefully complementing the style of the main building, you can create a unique conservatory that still goes well with the rest of the property. One of the main influences when designing a conservatory will be dictated by its function. Conservatories are very versatile environments and can be used as family spaces, entertainment venues, dining rooms, children's play areas or even as space for an indoor pool. After you’ve decided on your conservatory’s function, you will need to conduct an in-depth analysis of the surrounding environment: this is the only way to decide on the size of your conservatory. The correct location, allowing you to enjoy optimal daylight, is important in order to enjoy the sun during the day. It’s also a good idea to decide on the best view, whether that’s towards the house, the garden or the pool. se of tools and applications that are useful for your team and your customers. For example, the internal DFN team provides detailed projects and 3D visualisations so you can work together on creating every detail, while on-site design is performed in order to consider lighting and the available space. Designing the right conservatory can significantly increase the property’s overall value, but only if adequate diligence is applied during the design and consultation phases. The use of high-quality materials and an attractive design will ensure that your conservatory is an asset to the rest of the building. Listen to suggestions when designing the perfect conservatory, keeping in mind what the customer wants. Conservatory design must include details and qualities that will enhance a customer’s experience. The environment must be more than just an extension. It must be a place of harmony and union between the outdoors and indoors and between nature and design. So, to get started, have a discussion with your customer to find out exactly what his or her requests and needs are. It is often the small details that make all the difference. It’s no coincidence that custom projects are increasingly in demand. They perfectly reflect the customer’s taste and expectations, allowing him or her to feel in control of their unique and original project. Details equate to positive feelings, the same feelings that lead customers to make the decision to install a conservatory in the first place. Make each project a work of art. With careful consideration and attention to detail and the support of a team of experts, you can transform an idea into a concrete reality once the design has been approved. Every construction element must be carefully considered to ensure that it exceeds expectations and reflects the appearance and feeling that the customer desires.